2017 Ram 1500 Night Edition Crew Cab 4WD, ONE OWNER vehicle, Clean Carfax, no accidents. 5.7-Liter V8 Hemi, Uconnect Navigation, tow package with trailer tow mirrors and trailer brake control, black cloth & leather seating, power driver's seat, adjustable pedals, heated front seats, heated steering wheel, XM/Bluetooth/AUX/USB/AM/FM radio with steering wheel controls, dual climate control, tint, back-up camera, 20" premium alloys, all-season floor mats, power windows, locks and mirrors, A/C, cruise control, plus much more! It also comes with the Drive 5280 exclusive 5-month, 5,280 mile warranty at no charge. 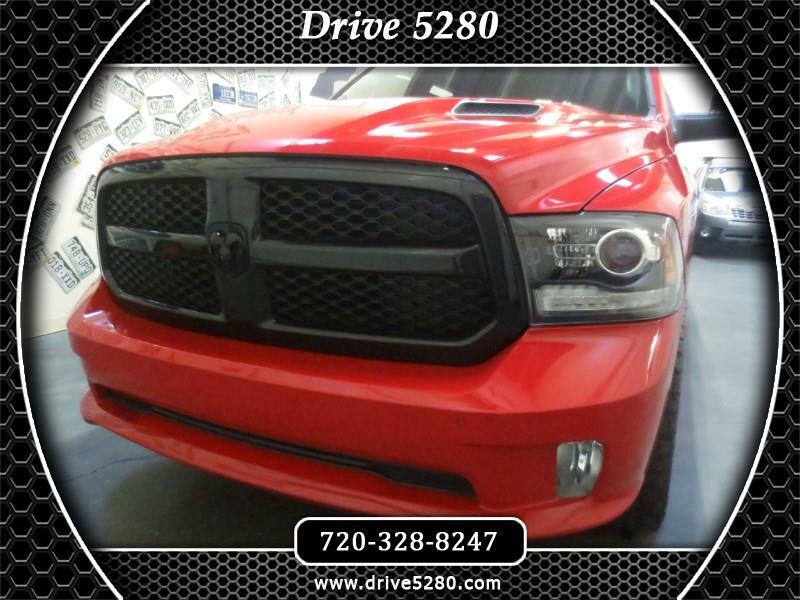 Visit Drive 5280 online at www.drive5280.com to see more pictures of this vehicle or call us at 720-328-8247 today to schedule your test drive.